Philippine is known as beach capital of the Asia. The coastline of Philippines is twice to that of the United States. Phillipines is relatively undiscovered travel destination but it has magical islands with world class surfing and diving opportunities. You can enjoy the deep crystal blue waters of the China Sea and the Pacific Ocean. Every beach has its own charm. If someone asks you to pick the best beach in the Philippines you will get confused. It seems that someone has asked you to choose the best child among your children. I am going to tell you the fantastic islands and beaches in the Philippines. It is one of the beautiful islands in the Philippines. 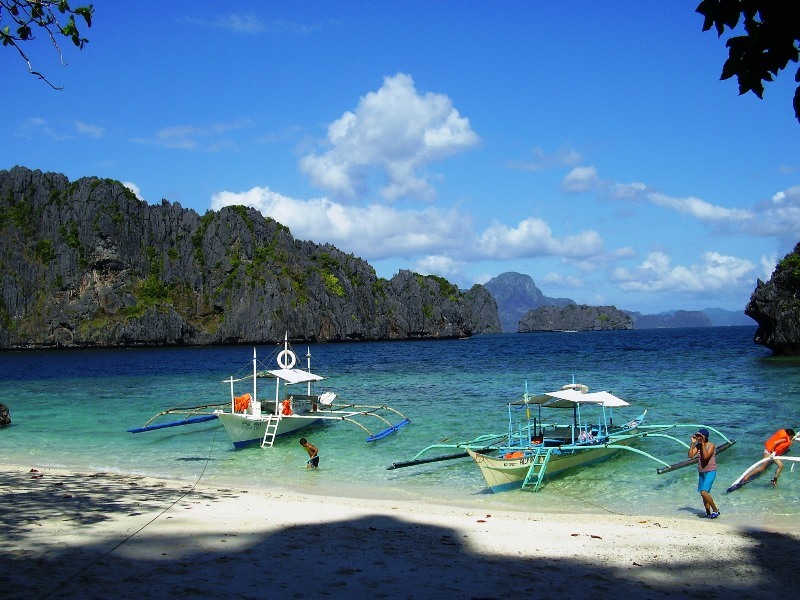 The Palawan is known as the last frontier of the Philippines while the El Nido is the gateway to the adventure. The fantastic views are something that is selling this place. You will love the powder fine beaches. The gin-clear water is enough to make you take a deep breath and calm yourself. When you are there capture the beauty of this piece of land in your camera. Get one and hang it on the wall of your living room to save the precious memories of Philippines. Have a lifelong adventure with fabulous surfing and diving here. It is the most visited holiday destination in the Philippines. The distinctive feature of this place is the white beach. You can enjoy here the secluded trips to the caves, cliffs, sand and coves. The beach is famous for the night which is full of candle-lit sand castles giving a romantic and magical view. The major activity’s here are kite-boarding, scuba diving, snorkeling and windsurfing. You will love the place and the scenic beauty here. The azure blue water is something that will make you turn to this place again and again. The white beach here is known as the “finest beach in the world”. So do not miss any more time and pack yourself for a wonderful trip to boracay Philippines. 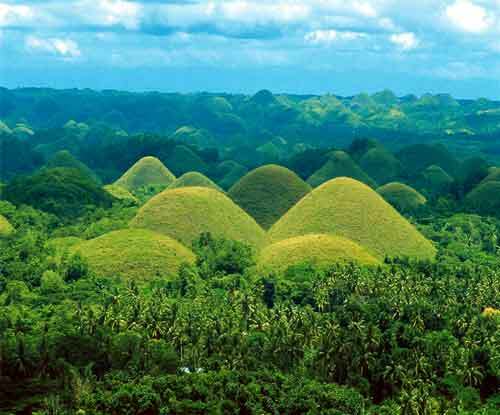 The Bohol Island is also known as the chocolate island. It has large numbers of limestone hills that were formed of coral reefs of the last ice age. The things to enjoy are numerous. You can enjoy exploring the caves which are more than hundred in number. It has the wide range of animals and plant species, the Philippine tarsier is the distinctive one. The Bohol Island is bestowed with countless beaches with clear waters and fine sand. Relax yourself at these enchanting beaches and get lost in nature. You will fall in love with the water, sand and the surrounding cliffs. It is the most beautiful island in the Philippines. The dazzling clear waters and the striking coral formation are the distinctive features of this island which makes it unique to other islands in the world. The beaches of this island have white powdery sand that is perfect to lie down to enjoy the sun. The Apo Island has a wonderful and famous site for the scuba diving and snorkeling. The water here is full of marine life and the divers can enjoy some more than 600 species of marine life while diving under the dazzling waters. The coral formation here is awesome and it appears that god has places the corals here with his own hand. Besides the awe inspiring scenery you will enjoy the friendly nature of the people here. You can have any kind of help from them. So don’t be afraid of going to the Apo beach on this holiday season. These are the famous and enthralling islands with stunning beaches waiting for you.